There is a new retail channel taking off—literally. The “onboard, online retail business” refers to the options that more and more airlines offer passengers to shop through their mobile devices while they fly toward their destination. 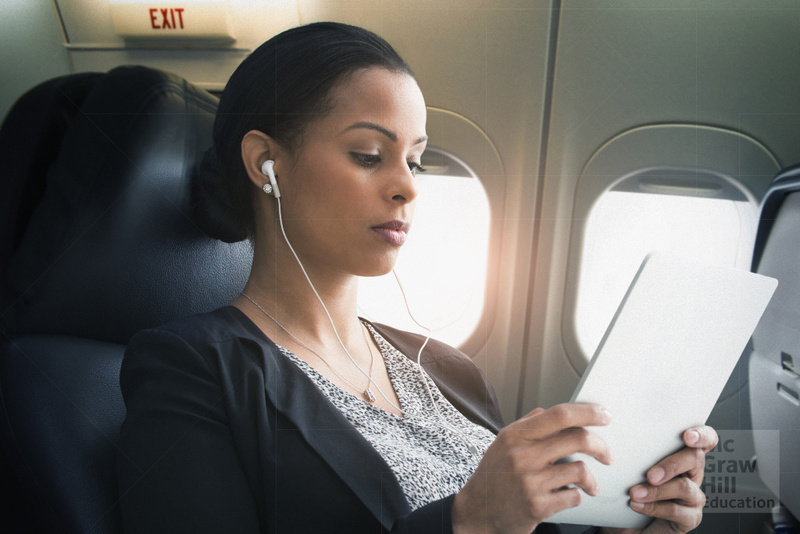 The retail channel relies on technology that enables airlines to offer WiFi access to customers, as well as customers’ evident desire to pick up new products in the skies. According to JetBlue, which began offering WiFi-enabled flights at no charge as a service to customers, the expectation was that people would check their social media or maybe get some work e-mails sent. Instead, it found that many passengers on flights were visiting shopping websites and picking up new items to be delivered to their homes. Evidently, those kitschy in-flight catalogs that had long been stuck in the seat pockets, with their silly gifts and travel kits, had strong market appeal. When consumers could go online, they looked for the same functions of the in-flight retail catalogs, together with the conveniences of ordering and paying online. In response, various players in the market are seeking to attract sales by the captive audience of airline passengers. In addition to general products, one of Lufthansa’s divisions markets events and services available at the destination, such as hotel rooms or theater tickets. Virgin America allows passengers to purchase carbon credits to offset the impact of their trip on the environment. In a partnership with Amazon, JetBlue also pushes purchases of Amazon content, or else encourages customers to invest in purchasing a new Prime membership, which enables them to stream the content for free. According to a JetBlue spokesperson, a “surprising number” of customers take advantage of this offer, readily signing up to pay the annual fee, in return for the chance to stream House of Cards on their flight to the real Washington, DC for example. Most carriers charge passengers for the right to access the WiFi, whereas JetBlue continues to offer it for free, in the belief that it can get more people to use the service that way. That means more people are looking at the product and service offers for sale, and that means that the resulting purchases are more likely to make up for the costs of the free service offer. But there is something of a cost for consumers, namely, the prevalence and clutter of advertising that pops up every time they go online while onboard. For some, the annoyance of the advertising is enough to put them off the idea of shopping. For others though, they would even consider paying for the right to see that sort of marketing in the air. Why are airline passengers such a desirable segment? Should airlines charge for the WiFi service or not? Give reasons for both arguments. Source: Martha C. White, “Airlines Use Wireless Networks to Replace Seat-Back Catalogs,” The New York Times, February 1, 2015.